For four generations, we have poured our heart and soul into making the very best maple syrup. 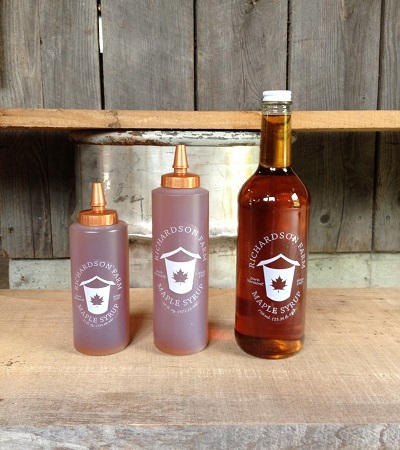 On our farm, the fertile Hollis soils help us make syrup with a distinctive maple taste. 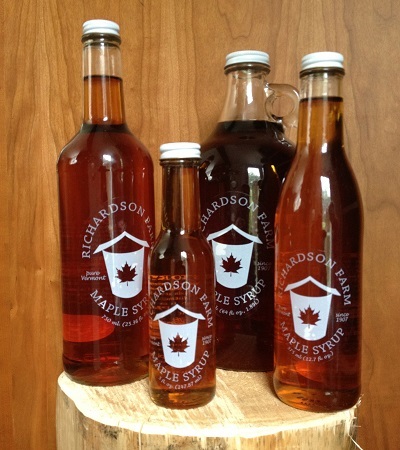 Our maple syrup provides a delicious blend of rich and delicate flavors. In our sugarbush we have over 8,000 maple taps. From these taps we produce anywhere from 3,000 to more than 5,000 gallons of syrup a year using our wood-fired evaporator. We spend countless hours in our woods taking care of our maple trees. 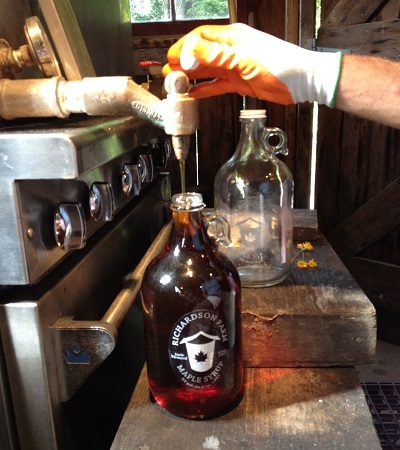 Then we spend many hours in our sugarhouse boiling, canning, and bottling syrup. We also make maple candies. Creating the finest maple syrup and maple products is a year-round passion for our family. Check Out the NEW Syrup Grades! to the old grading system. Syrup is healthy for you! Check out the nutrition facts on our favorite sweetener!